For Not models: Especially small cars, the seat chair and seat retractable car model. you not in list your brand, you can Feature: Easy install and off from hook and chuck on the seat cover. 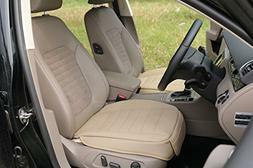 High quality , Breathable with holes the seat.